3. Fraud. By becoming a member, you confirm that the information provided in this form is true and that you agree to abide by the Terms and Conditions of use of this site. Please note that your membership can be cancelled without notice if it is determined that false or misleading information has been provided, the Terms and Conditions of use have been violated, or other abuses have occurred as determined by Pavel Water Filtration (CommercialKleenWater.com) in its sole discretion. If membership has been revoked, Pavel Water Filtration (CommercialKleenWater.com) reserves the right to refuse application or readmission to the membership program. 9. Limitations of Liability. 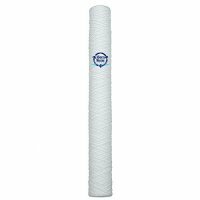 Pavel Water Filtration (CommercialKleenWater.com) IS A RETAILER AND DISTRIBUTOR OF GOODS AND PRODUCTS MANUFACTURED BY VARIOUS SUPPLIERS. 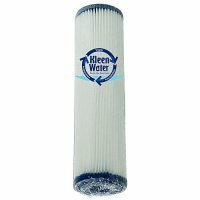 Pavel Water Filtration (CommercialKleenWater.com) OFFERS AND PROVIDES PRODUCTS ON AN "AS IS" BASIS. CONSUMERS PURCHASE AND USE THESE PRODUCTS AT THEIR OWN RISK. SINCE THESE PRODUCTS ARE NOT MANUFACTURED BY Pavel Water Filtration (CommercialKleenWater.com), THE COMPANY DISCLAIMS ALL WARRANTIES OF MERCHANTABILITY AND/OR IMPLIED WARRANTIES. THERE ARE NO WARRANTIES WHICH EXTEND BEYOND THE DESCRIPTION OF THE PRODUCTS HEREIN. CONSUMERS ARE RESPONSIBLE FOR DETERMINING THE SUITABILITY OF THE USE OF ANY SPECIFIC PRODUCT FOR USE BY ANY INDIVIDUAL, CONSIDERING AGE, MENTAL OR PHYSICAL CONDITION.IN NO EVENT, SHALL Pavel Water Filtration (CommercialKleenWater.com) BE LIABLE FOR ANY DAMAGES WHATSOEVER (INCLUDING, WITHOUT LIMITATION, INCIDENTAL AND CONSEQUENTIAL DAMAGES, LOST PROFITS, OR DAMAGES RESULTING FROM LOST OR STOLEN DATA OR BUSINESS INTERRUPTION) RESULTING FROM THE USE OR INABILITY TO USE THE WEB SITE AND THE PRODUCTS, OR FROM MISTAKES, OMISSIONS, INTERRUPTIONS, DELETION OF FILES OR EMAIL, ERRORS, DEFECTS, VIRUSES, DELAYS IN OPERATION OR TRANSMISSION, OR ANY FAILURE OF PERFORMANCE, WHETHER OR NOT RESULTING FROM ACTS OF GOD, COMMUNICATIONS FAILURE, THEFT, DESTRUCTION, OR UNAUTHORIZED ACCESS TO Pavel Water Filtration (CommercialKleenWater.com)'s AND Pavel Water Filtration (CommercialKleenWater.com)'s RECORDS, PROGRAMS, OR SERVICES, WHETHER BASED ON WARRANTY, CONTRACT, TORT OR ANY OTHER LEGAL THEORY, AND WHETHER OR NOT Pavel Water Filtration (CommercialKleenWater.com) HAS BEEN ADVISED OF THE POSSIBILITY OF SUCH DAMAGES. YOU HEREBY ACKNOWLEDGE THAT THIS PARAGRAPH SHALL APPLY TO ALL CONTENT, MERCHANDISE, AND SERVICES AVAILABLE THROUGH Pavel Water Filtration (CommercialKleenWater.com). BECAUSE SOME STATES DO NOT ALLOW THE EXCLUSION OR LIMITATION OF LIABILITY FOR CONSEQUENTIAL OR INCIDENTAL DAMAGES, IN SUCH STATES LIABILITY IS LIMITED TO THE FULLEST EXTENT PERMITTED BY LAW. All responsibility or liability for any damages caused by viruses contained within the electronic file containing the form or document is disclaimed. WE WILL NOT BE LIABLE TO YOU FOR ANY INCIDENTAL, SPECIAL OR CONSEQUENTIAL DAMAGES OF ANY KIND THAT MAY RESULT FROM USE OF OR INABILITY TO USE OUR SITE. Our maximum liability to you under all circumstances will be equal to the purchase price you pay for any goods, services or information. 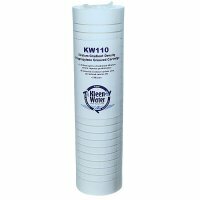 This web page catalog is a guide to the purchase of water filtration products only. Final sale and prices determined upon acceptance of purchase order by Pavel Water Filtration at the time of payment. Orders containing online pricing errors will not be accepted. Pavel Water Filtration makes no warranty of fitness for any particular use or purpose or any other warranty, expressed or implied. All information on this web site is subject to change without notice. 12. Third-Party Merchant Policies. All rules, policies (including privacy policies) and operating procedures of Merchants will apply to you while on such sites. We are not responsible for information provided by you to Merchants. We and the Merchants are independent contractors and neither party has authority to make any representations or commitments on behalf of the other. 15. Securities Laws. This Site may include statements concerning our operations, prospects, strategies, financial condition, future economic performance and demand for our products or services, as well as our intentions, plans and objectives, that are forward-looking statements. These statements are based upon a number of assumptions and estimates which are subject to significant uncertainties, many of which are beyond our control. When used on our Site, words like "anticipates," "expects," "believes," "estimates," "seeks," "plans," "intends" and similar expressions are intended to identify forward-looking statements designed to fall within securities law safe harbors for forward-looking statements. The Site and the information contained herein does not constitute an offer or a solicitation of an offer for sale of any securities. None of the information contained herein is intended to be, and shall not be deemed to be, incorporated into any of our securities-related filings or documents. 16. Links to Other Web Sites. The Site contains links to other Web sites. We are not responsible for the content, accuracy or opinions express in such Web sites, and such Web sites are not investigated, monitored or checked for accuracy or completeness by us. Inclusion of any linked Web site on our Site does not imply approval or endorsement of the linked Web site by us. If you decide to leave our Site and access these third-party sites, you do so at your own risk. 18. Return Policy. Permission for any returned merchandise must be secured from our return department. You must e-mail the refund request to sales@CommercialKleenWater.com at which time the return authorization number with return instructions will be sent to you. Orders may be cancelled within 72 hours except where the order has already shipped. Custom orders are non-cancelable. For items that are returnable, returns must be made within 10 days of receipt. Returned items must be in original cartons and in new condition. Merchandise returns will not be accepted without prior return authorization. Returns are subject to a 25% restocking charge. COD returns will be refused. Pavel Water Filtration (CommercialKleenWater.com) reserves the right to refuse merchandise returned in a damaged or obviously used condition. 19. Venue. Applicable Law. YOU AGREE THAT ALL ACTIONS OR PROCEEDINGS ARISING DIRECTLY OR INDIRECTLY OUT OF THIS AGREEMENT, OR YOUR USE OF THE SITE OR ANY SAMPLES OR PRODUCTS OBTAINED BY YOU THROUGH SUCH USE, SHALL BE LITIGATED IN THE CIRCUIT COURT OF HAMPDEN COUNTY, MASSACHUSSETS OR THE UNITED STATES DISTRICT COURT FOR THE DISTRICT OF MASSACHUSETTS . YOU ARE EXPRESSLY SUBMITTING AND CONSENTING IN ADVANCE TO SUCH JURISDICTION IN ANY ACTION OR PROCEEDING IN ANY OF SUCH COURTS, AND ARE WAIVING ANY CLAIM THAT WEST SPRINGFIELD, MASSACHUSETTS OR THE DISTRICT OF MASSACHUSETTS IS AN INCONVENIENT FORUM OR AN IMPROPER FORUM BASED ON LACK OF VENUE. As such, the laws of MASSACHUSETTS will govern the terms and conditions contained in this Agreement and elsewhere throughout the Site, without giving effect to any principles of conflicts of laws. 20. Verify Members' Address: Pavel Water Filtration (CommercialKleenWater.com) reserves the right to contact a Member via email to verify the accuracy of account information (including the Member's correct name and address) that is needed to provide the Member with the information he or she requested from Pavel Water Filtration (CommercialKleenWater.com).